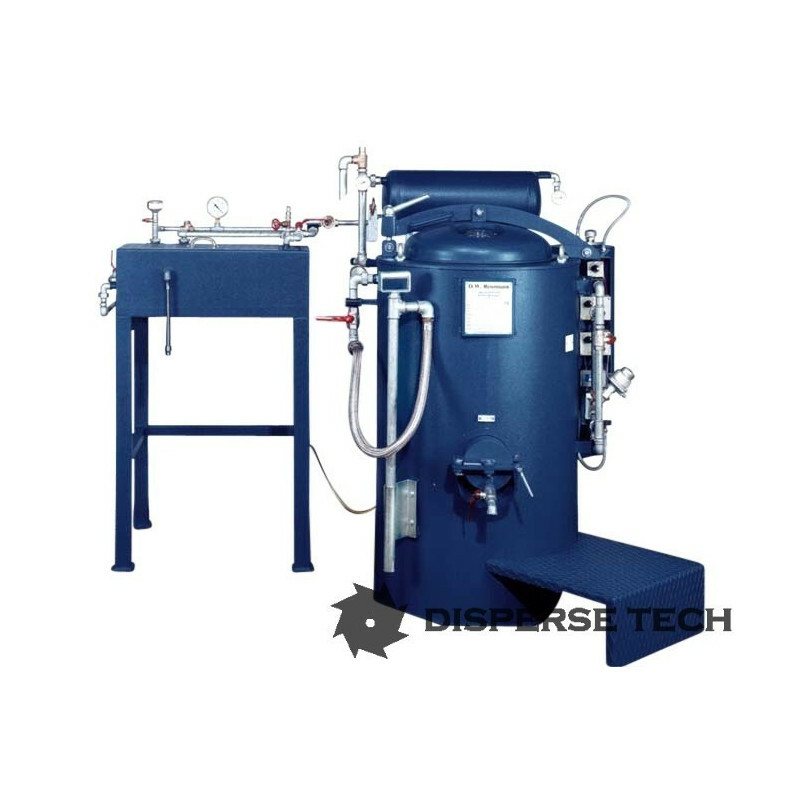 Model DW Distillation unit recovers washing solvent in a cylindrical distillation boiler that features an electrically heated double jacket filled with thermal oil. Highboiling solvents can be distilled with the available vacuum technology. The residue is discharged conveniently through the open flap at the front of the unit using the cleaning tools provided. 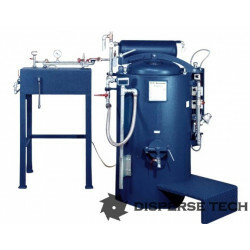 Model DW Distillation unit recovers washing solvent in a cylindrical distillation boiler that features an electrically heated double jacket filled with thermal oil. 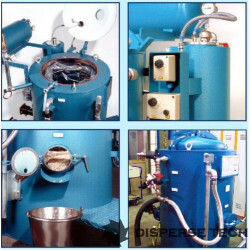 The unit is designed for batch distillation. Highboiling solvents can be distilled with the available vacuum technology. The residue is discharged conveniently through the open flap at the front of the unit using the cleaning tools provided. Safety-related details of the unit ensure that it meets ATEX requirements.